A sitz bath can be used to ease pain, swelling, and irritation to genital areas and the perineum. 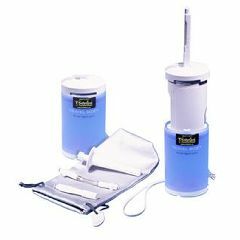 They can be used by anyone wanting to maintain better cleanliness and health, but they are especially helpful to individuals who have recently had surgery in the area, given birth, or have hemorrhoids. Allegro Medical offers the shallow basins used for sitz baths, as well as toilet bidets and toilet seat bidets that can be used as an alternative method for finding relief.